We are looking for a new member for the CI central actuarial team. We form a key part of the CI central underwriting team whose role is to bring insights, improve business performance, share ideas, tools, and practices between geographies, leading the business into the future. To achieve these goals we provide the quantitative elements: improving the quality of pricing and assisting underwriters in driving business performance to higher levels. The team is structured around lines of business and includes additional analytical support from the Bratislava CoE. We are currently building data and pricing foundations on which the company can advance from traditional pricing/actuarial processes to an exciting future era combining traditional internal data sources with rapidly emerging external sources such as digitized mapping and imaging and real time monitoring e.g. the Internet of Things. A key focus of our analytics work is to take predictive techniques typically used in large retail portfolios into more specialized and smaller areas including statistical inference in sparse data sets. Coordinating all of these activities with a wide variety of stakeholders in different functions (underwriting, claims, distribution) and geographies. Primary work location is Zürich or London. The travel requirement is up to 5%. 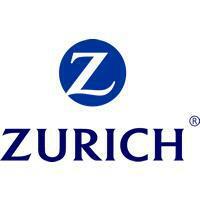 Zurich accepts no unsolicited applications from recruitment agencies for this position. We therefore request that recruitment agencies do not submit any candidate documents neither via our employees nor through our online career portal. We refuse any responsibility for unsolicited applications as well as any associated fees. Thank you for your understanding.